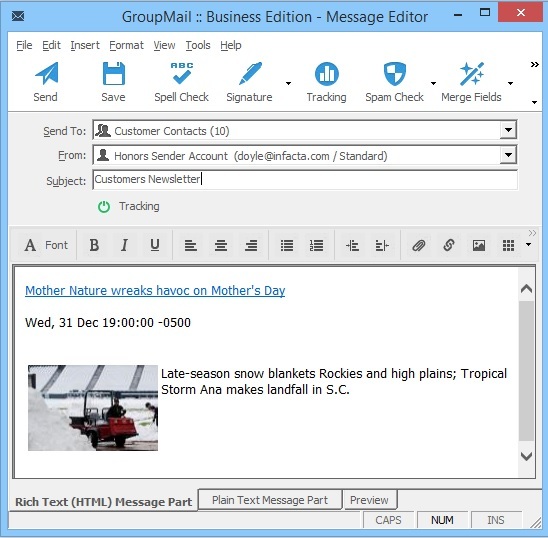 On the GroupMail Message Editor, go to the Insert Menu, RSS Feed Post. 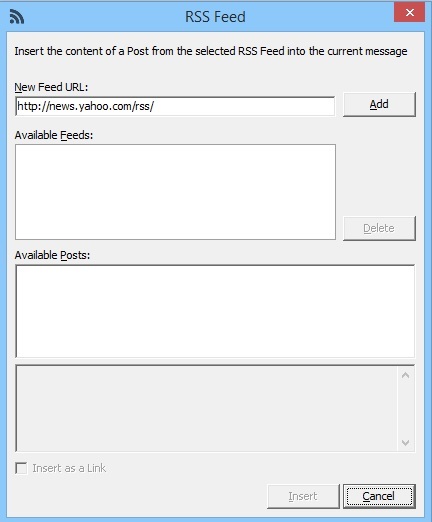 Then enter the ‘News Feed URL’. 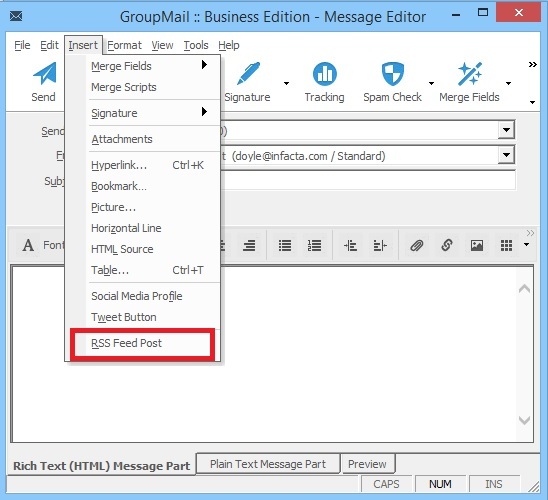 Highlight the ‘Available Post’ that you want to insert into your Message. You can choose to Insert it as a Link by clicking on “Insert as a Link” or you can insert the actual post itself by leaving this option unchecked. 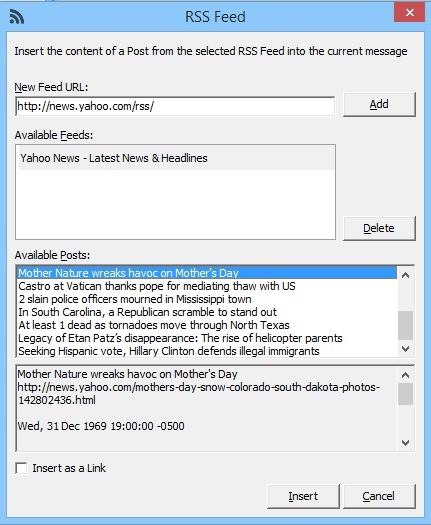 Press the “Insert” Button to Insert the selected post.